The only bolt in power door lock kit on the market for the 64-70 Mustang, our power door lock kit is ready for any restoration or resto-mod alike. No cutting or drilling required. They install identical to your manual, factory latches. 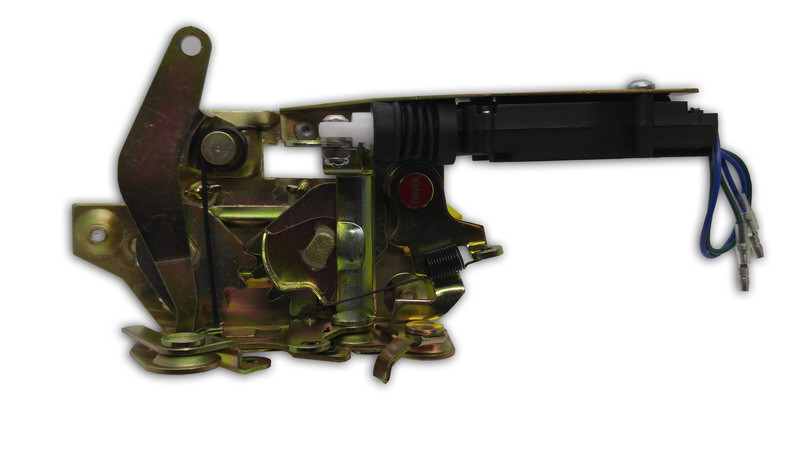 Our Classic Mustang Power Door Locks allow you to retain your factory door lock/latch functionality with the added benefit of keyless operation. Backed by a limited lifetime warranty, there’s simply no reason to use anything else. No cutting or drilling required. NOT a universal kit. Kits are specific to the year and model. 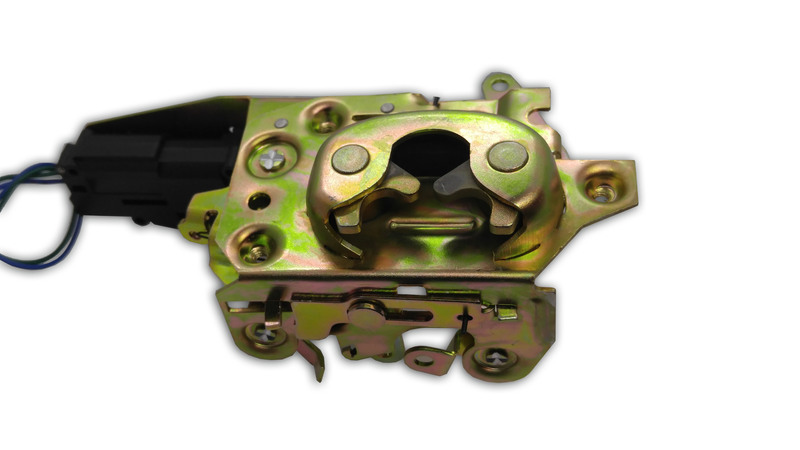 Our OE style latches allow for retention of factory lock cylinder and door lock pull. Can be used with any Keyless Entry Kit/Alarm. Try our suggested Keyless Entry kit for added installation ease. This is not a door popper kit and is not intended to be used in conjunction with door poppers. 64-66 Mustang kits include additional Pawl Bushing hardware. Available hardware kit is highly recommended. 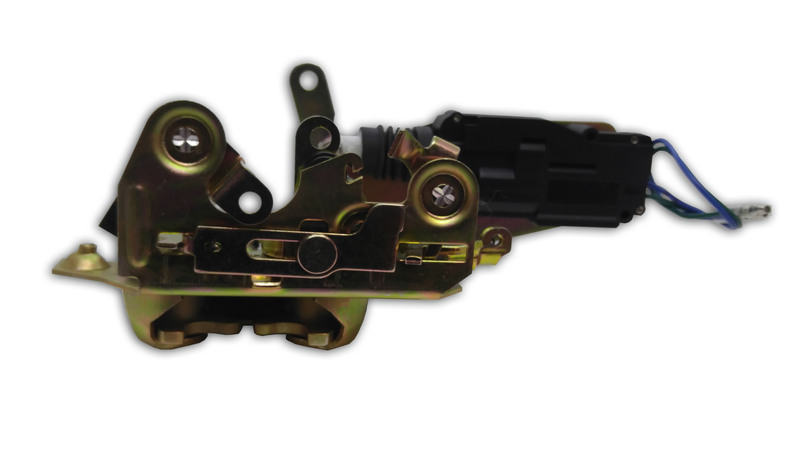 Deluxe hardware kits available (recommended) for customers with empty door shells. Deluxe Power Door Lock Kit uncludes Keyless Entry module with remote and hardware. 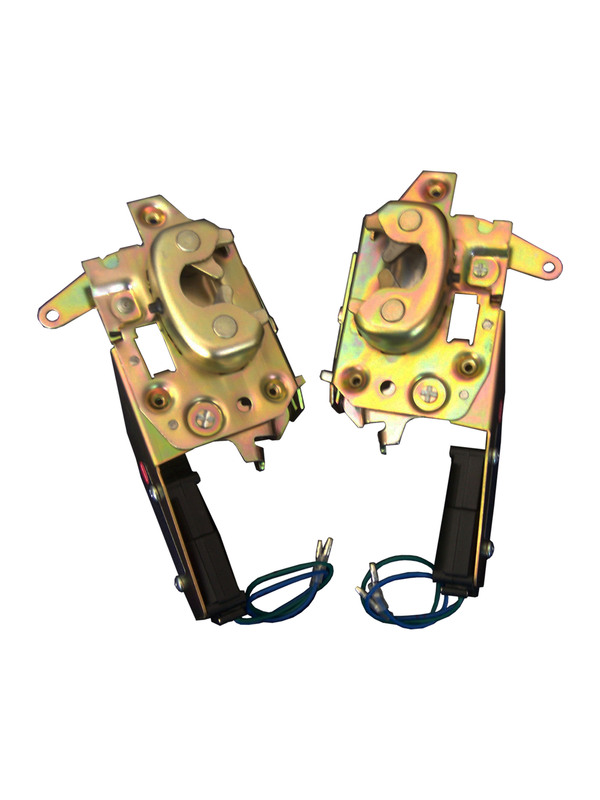 Standard Door Lock kit includes one pair of bolt in motorized latches. Keyless entry and switches will be needed for a fully electronic experience. Select the Deluxe Power Door Lock Kit to add our keyless entry and hardware kit to the order.